40% off Ramaka Solutions insulated lunch bag. Available now through 12/1, while supplies last. SIZE 9.5"W x 7.9"D x 9.3"H provides plenty of room for stacked containers. Can store taller bottles than other bags. 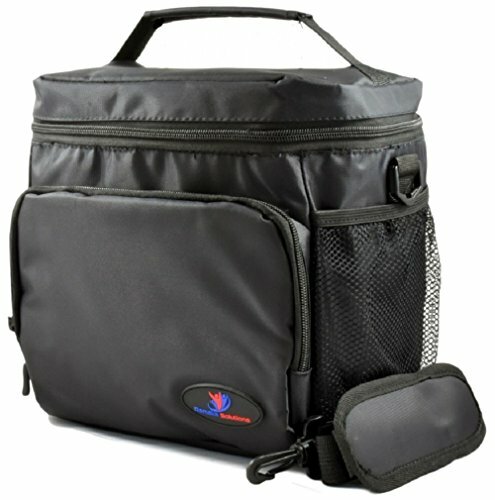 Ideal for school, work, sporting events, picnics or field trips. Available in Large & X-Large in 6 beautiful colors. LARGER SIDE MESH POCKETS have greater elasticity so you can store BIG 20oz water bottles. Inside mesh pocket on lid zips tightly closed. Great place to keep matches dry, store utensils, napkins or whatever you need easy access to. DURABLE high-quality Nylon construction is stain and water resistant. Wipe clean with a damp cloth or towelette. Great for kids and adults! Take it on hunting and camping trips. NON-TOXIC insulation is made from FDA-compliant EVA (Ethylene Vinyl Acetate). No harmful fumes. This reusable cooler is perfect for work or play. 48" SHOULDER STRAP with padded cushion is easy to attach or detach. Simply use plastic thumb clips for quick-release. When adjusted to maximum length, lunch bag will hang about 24" below the shoulder.